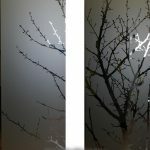 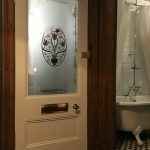 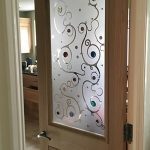 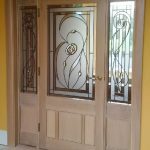 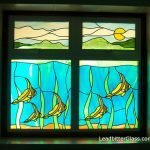 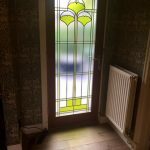 Catherine from Glasgow contacted the studio recently to ask if we could create a door glass and side panel set of etched glass from her own drawings. 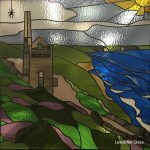 We asked Catherine to email over the drawing and she sent us this image to work with. 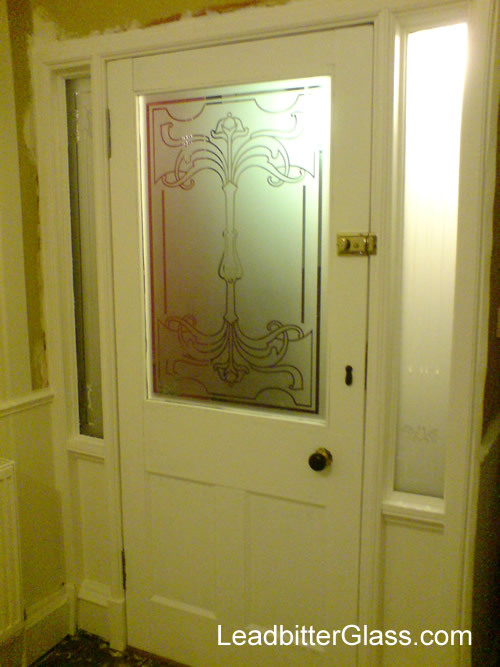 As you can see the Victorian etched glass image that Catherine provided was really good quality so as always, we got to work showing Catherine exactly how her new glass would look in exact scale sizes by creating a Computer Generated proof of her Victorian etched glass design. 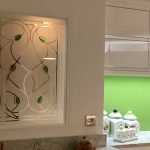 Catherine loved the mock-up so we started work on the actual glass. 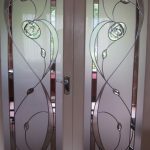 The photo below shows the centre piece of the door well but what you cannot see very clearly aren the two matching side panels that were also created for the door set. 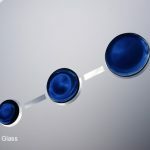 If you visit the CGI link above you will see how the full set would look once installed. 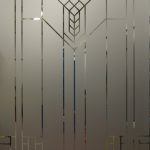 The 3 etched glass pieces were created using 4mm toughened glass so as recommended to the customer, we we protected the etched glass sections of the design with our Sandblast Protection to keep the glass looking as good as new for the years to come.